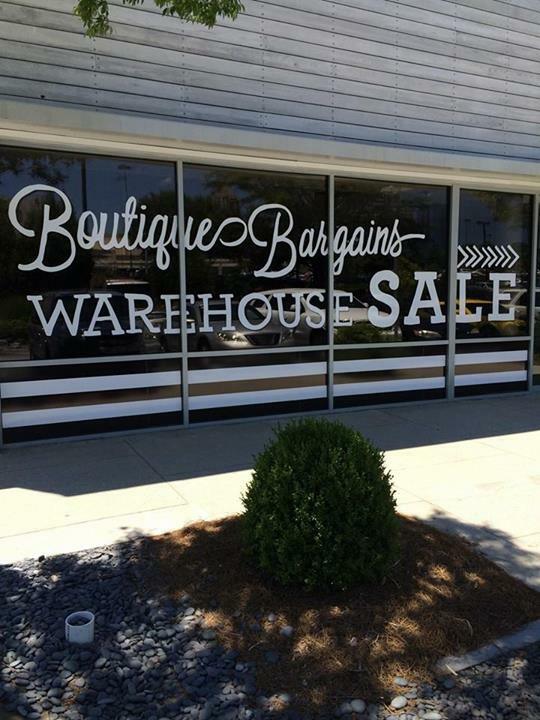 It’s time for the twice-a-year event that is the closest Atlanta gets to a sample sale: the Boutique Bargains Warehouse Sale. It’s not so much a sample sale as several local stores pooling their clearance sections under one roof, but we’ll take it. The convenience of shopping multiple sales at once is hard to argue with. This year the sale is at the Shops Around Lenox on July 25 and 26, in the former Roche Bobois space. They’ve got discounts from 50% to 70%, dressing rooms and a giant parking lot, but they only take cash or check–which is kind of a pain, so make note and don’t be That Girl. There’s a variety of shops participating this year, from Sandpiper to K-La, so there’s something for everyone. Highlighted brands include lots of premium denim, Alexander Wang, Lilly Pulitzer, Joie, Rachel Pally, Moschino Cheap & Chic, DVF, Lauren Moffat, and more. There’s also an Uber code for 10% off your ride to the sale, in case you’re the kind to get drunk on deals: ORIGINALBOUTIQUE. Mark off your two hour lunches and get ready for some bargains.